It is an old and tested way to soften the light thrown by a lamp: toss a hanky over the shade. Not only does the light become more flattering, it can give texture to an otherwise glaring bulb. This month’s theme for The Challenge is “Fabric.” The interpretation from by Chiana Oh are these lamps. With five colours to choose from, different lengths of the stem and full-mod for the size, there has to be at least one that will fit right in with your decor. They definitely bring warmth to my little cabin. 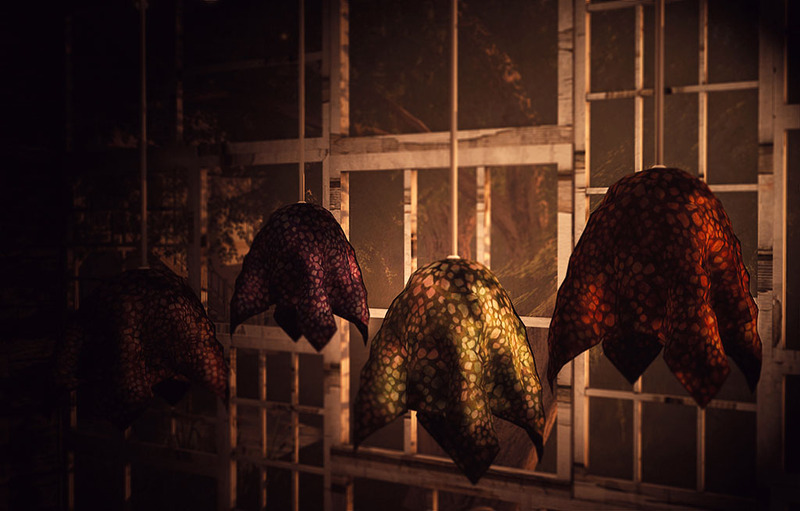 The Challenge begins on August 31st and you can find these lamps at a discount for the first week in the by Chiana Oh mainstore. Second Life Home & Gardening, The Challengeby Chiana Oh, Photography, Pics by Peep, Second Life, Shopping in Second Life, tarte.